Whisk together the cream and sugar in a medium saucepan over low heat. When the cream is hot but not boiling, add the peanut butter and gently whisk until combined and smooth. Take off the heat. Whisk in the chocolate chips just until melted. 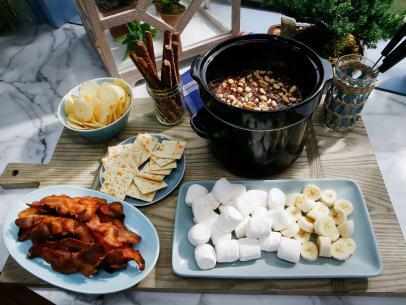 Serve immediately with your desired dippers, such as pretzel rods, bananas, strawberries, dark chocolate or marshmallows. 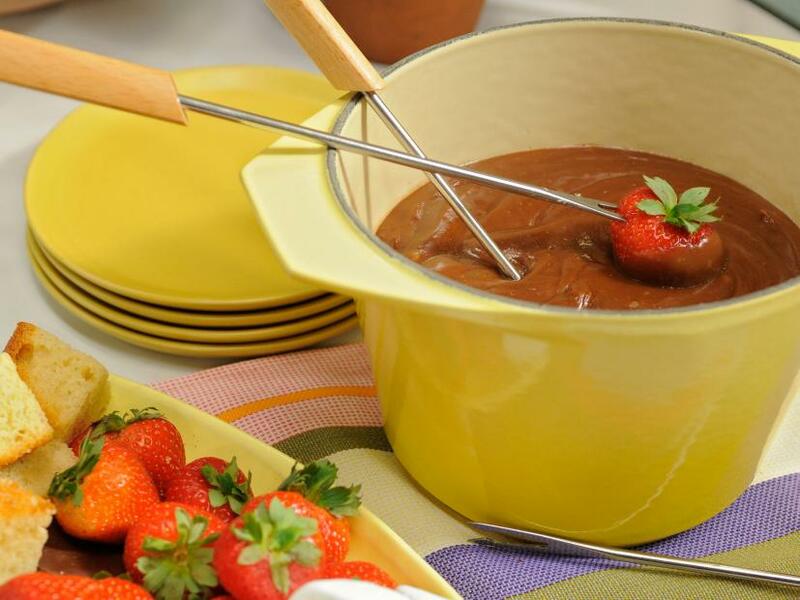 If the fondue breaks, try whisking in a couple of tablespoons of cold heavy cream at a time.